and Companions for Adult Care! 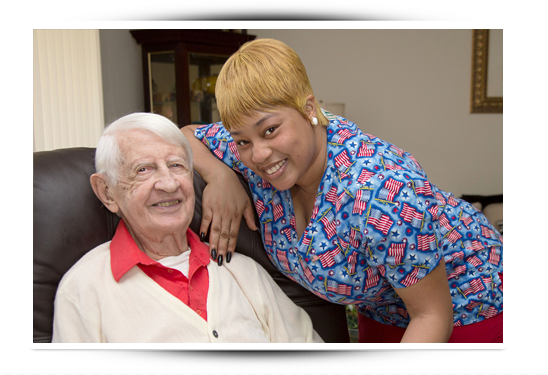 Value Care refers caregivers to people in need of compassionate and competent adult care. We are locally owned and have been in operation since 2007. Our company is built on the principles of compassion and value. We want our clients to have More Care with Less Worry, so we do the hard work of finding and connecting them with qualified caregivers who fit their needs. With our Care Match Program we take the time to listen to our clients’ needs before referring caregivers to them. We offer a Free Consultation to speak with you and learn about your loved one’s care needs, schedule, daily activities and more. Once we have a complete picture of you and your most important needs, we are able to create a better, lasting match with a caregiver. Our FIVE STAR PROMISE has had great success, and we have helped thousands of satisfied clients over the years. In fact, we make a special commitment to our clients being happy with their caregiver on the very first visit. We call this our First Day Satisfaction GUARANTEE. We follow up with all of our clients after the first visit to ensure they are completely satisfied with their experience. We know it can be stressful and overwhelming to search for high quality caregivers when you are most in need. That is why we started Value Care many years ago. We match people with the caregiver that is right for them, and help them feel confident that they are in competent, compassionate and safe hands. Beyond that, we help our clients to keep their costs lower. Our clients save up to 25% or more off average industry prices on adult care. If you require adult care for a loved one or would like to learn more about our adult care referral services, we know that every extra hour of care makes a difference for our clients.